Marvel dropped a big announcement about the Ant-Man sequel yesterday, including the news that The Wasp will join Scott Lang (Paul Rudd) in the superhero saga. 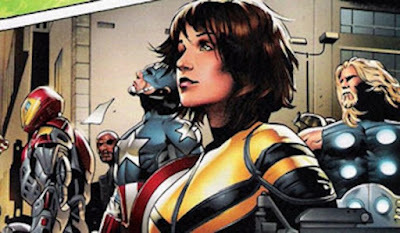 Evangeline Lilly will play Hope van Dyne/The Wasp in Ant-Man and The Wasp - the first time a female character has appeared in the title of a Marvel movie. Ant-Man and The Wasp is set for a July 6, 2018 opening. Learn more about The Wasp below, courtesy of USA Today.